– Upgraded, without request, to a seat with more legroom when I checked my baggage. The associate said, “You are pretty tall – how about a seat with more legroom?” Okay….what’s the catch? – Greeted by a well-dressed associate who bowed and said, “Good morning” …..with a genuine smile (gasp) as I boarded the plane – where am I? – A package containing a pillow, blanket, and headphones were waiting at my seat – how much extra is this going to cost? – Two bottles of water were next to me when I woke up from a 5-hour nap. The flight attendant said she thought I might be thirsty….uhhh..WHAT? You actually put some thought into what I might want? It was by far the best service I’ve experienced on an airline. It’s obvious to me that the leadership of All Nippon Airways spent a great deal of time on customer/user experience. It was almost as if the flight attendants and others All Nippon Airways staff knew what I wanted before I knew what I wanted. That’s excellent customer experience. Do you anticipate your customers’ wants and desires? Do you monitor customer behavior and tailor your products/services to those behaviors? Do you create the systems and train your staff to deliver a seamless, WOW experience for your customers? I was fortunate enough to spend time in Bali, Indonesia last month. What a life changing experience. If you’ve ever visited Bali, you most likely had the phrase, “Taxi? Taxi? Tomorrow?” yelled at you. 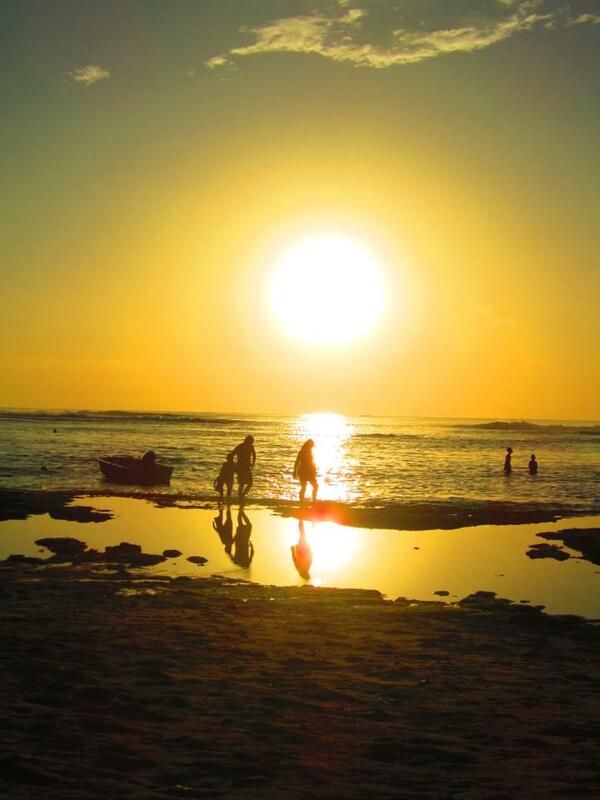 Providing transportation services in Bali is an easy way for locals to make money. The start-up costs are relatively cheap: they need a car or motorbike; and they can market the service by sitting on the sidewalk and yelling “Taxi? Taxi? Tomorrow?” at tourists. It’s a pretty inexpensive marketing campaign. Taxi drivers literally line the sidewalks in some tourists destinations like Ubud. So how did one taxi driver stand out from the rest? He didn’t yell at people as they walked passed him. He stood next to his vehicle with a sign that read, “Air Conditioning, Bottled Water, and No Hassle Rate.” In Bali, you can negotiate the price of anything. It gets to be a little tiresome, especially when you’re not sure whether you’re paying too much. How refreshing to get a ‘No Hassle Rate.’ And Air Conditioning? Heck, the majority of his competition had air conditioning but nobody else was advertising it. Air conditioning is huge when you’re walking around in 90+ degree heat. Once we entered the cab, the customer/user experience was excellent. He held the door for us. He made sure we were comfortable. He asked if we wanted bottled water or a soda, free of charge. He asked what type of music we wanted to listen to; he even made suggestions about where else to stop along the way to our destination—again, free of charge. When we arrived at our destination, he double-checked the car to ensure we didn’t leave anything behind. He also provided us with his business card to call him directly if we needed a ride while in Ubud. The result of his marketing efforts? We called him four more times during our stay in Ubud. He secured a customer for life. I also gave his contact information to another friend staying in Ubud (referral). What can you do to stand out from your competition? Are you providing a unique, unforgettable customer experience?